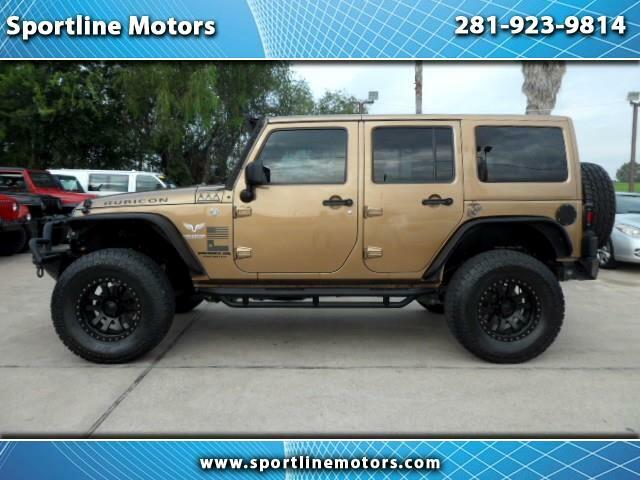 2015 Jeep Wrangler Unlimited Rubicon 4WD. Copper with black leather interior. One Owner, 22k Miles. This Jeep has it all. 3 inch Rubicon Express lift, Front and rear bumpers, Winch, Rock Lights, Stereo System, Waterprrof Amplifier, Waterproof Speakers. LED Halo headlights, Rough Country tubular fender flares. Call Rodney at 281-923-9814 for more details on this internet special. $39,888.00 WE FINANCE. Let us bring out the JEEP in you!